It’s the holy grail of the blogosphere — highly sought after but rarely achieved. Creating epic content, though, feels like an impossible mission for many bloggers — beyond the reach of all but the most elite writers. But in reality, you don’t need epic skills to create truly remarkable content, just a reliable process. One you can follow time and time again to create posts that cut through the noise and rescue your readers from pain and frustration. 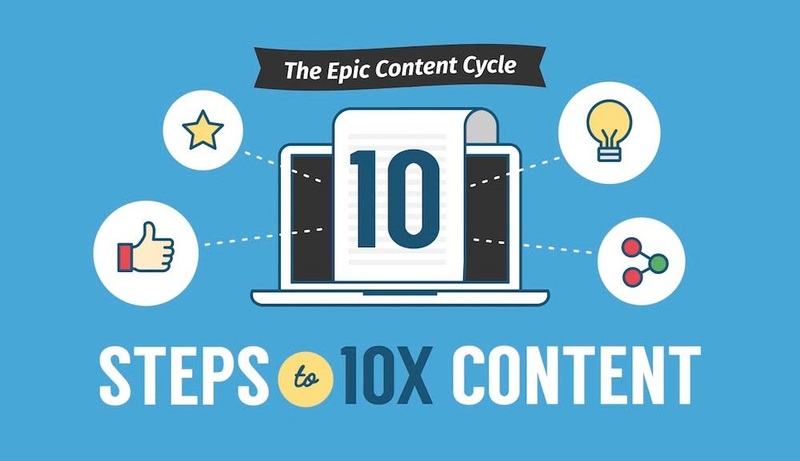 The following exclusive infographic is your ultimate visual guide to the epic content cycle. It’s a proven blueprint for creating content that’s ten times better than the competition.